'Windmill the Rose' photographed around 1930. 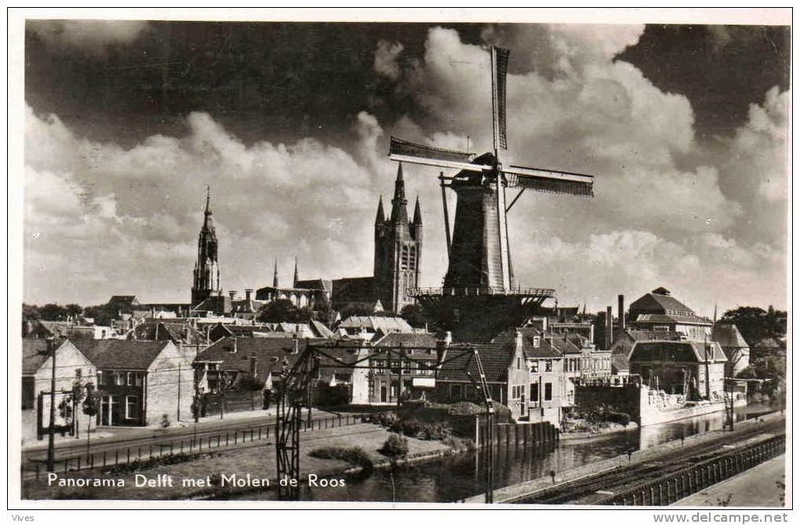 On the left here is Molen de Roos (Windmill 'the Rose') in better days. Still fully operational, as it has been until the end of 2009. Today it is an amputee. 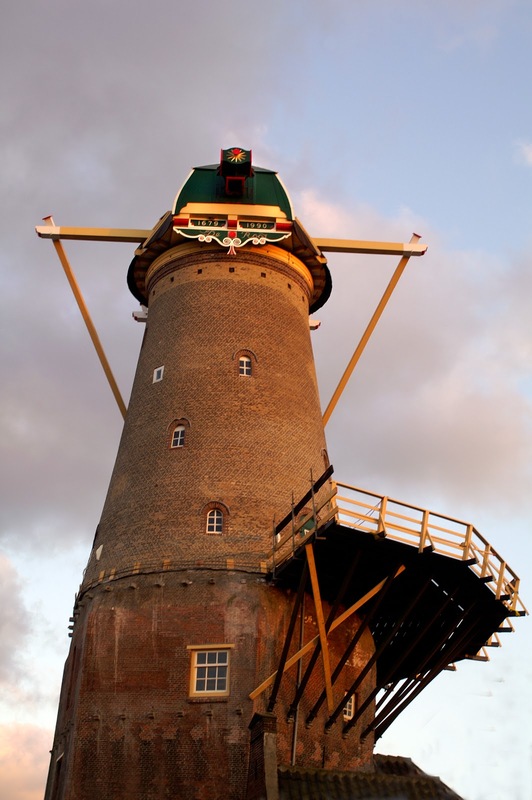 The windmill has lost its wings, parts of the landing on the outside have been removed and the foundation has been excavated. With that, parts of the old city wall have become visible, which remained hidden for a long time. 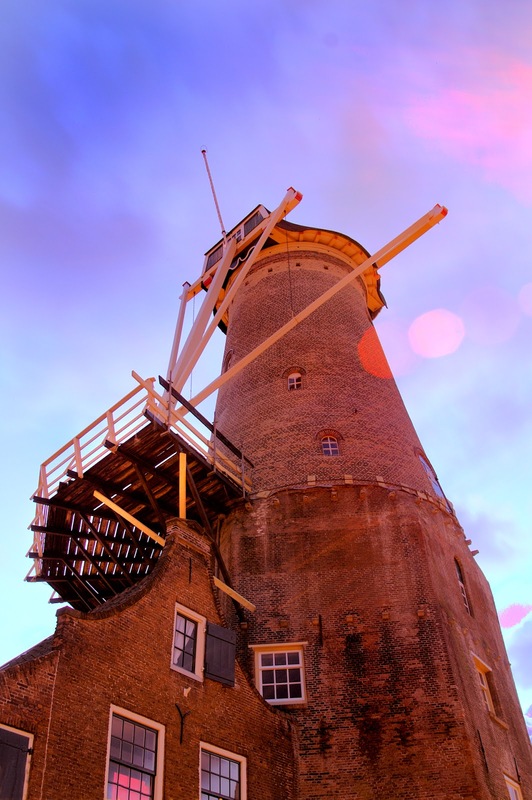 Later this year "Molen de Roos" will be jacked up more than a meter, to allow work underneath it for Delft's Big Dig.